This newly revamped annual National STAR Report summarizes results of all hospices that utilized the Survey of Team Attitudes and Relationships within the year. STAR is the only job satisfaction survey designed specifically for the hospice field. 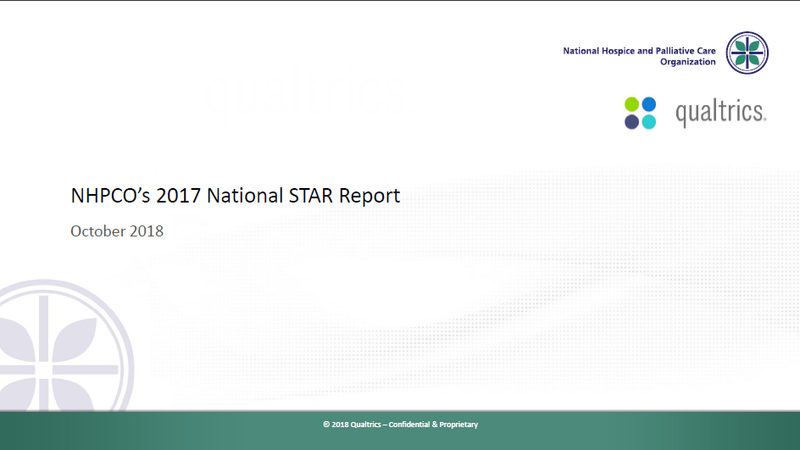 If your hospice administered STAR, you can use the National STAR Report to compare your hospice’s results to all STAR participants in 2017. Utilize STAR and its national level report as part of your hospice’s comprehensive QAPI program today!